Italy’s Belmond Hotel Splendido is the epitome of decadence. This former Benedictine monastery boats luxurious rooms and suites and exclusive facilities; it’s no wonder the exquisite hillside getaway was favoured by the likes of Marlon Brando and Elizabeth Taylor. 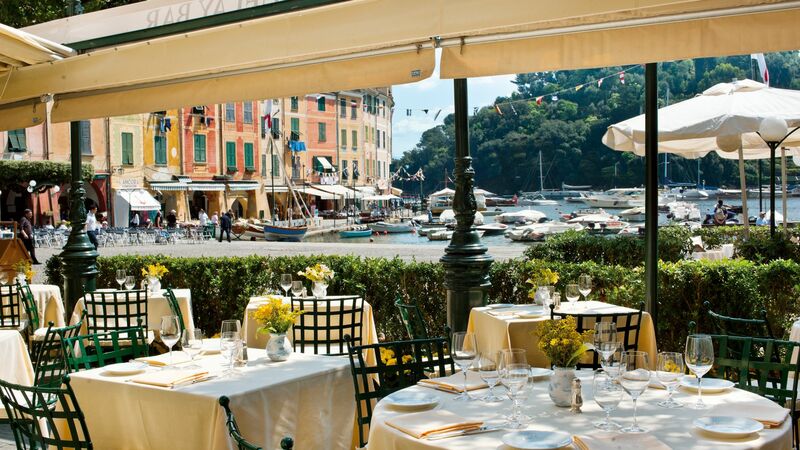 Follow in their footsteps as you lounge by the vast saltwater pool or take a stroll into Portofino, the picturesque fishing village with cobbled streets and buildings painted in shades of sorbet. Finish your day with a romantic meal out on the terrace of one of the hotel’s five star restaurants and watch the sun saturate the terracotta rooftops as it sets below the Italian Riviera. The hotel has 67 rooms and suites. Hotel child prices apply to ages 2–17 years. 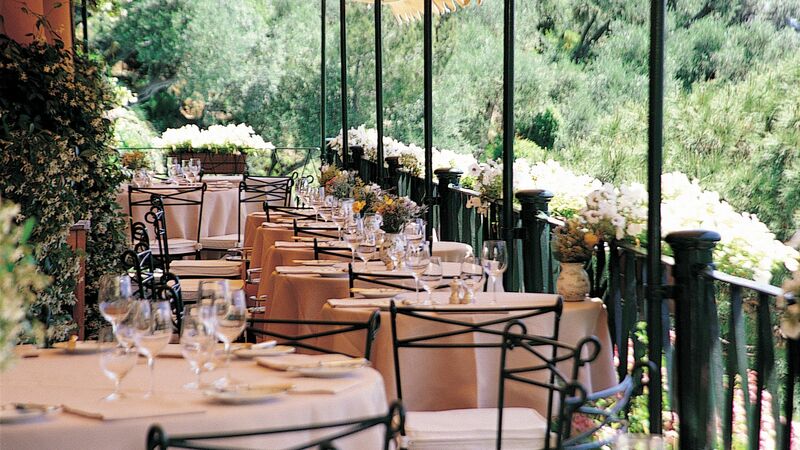 Please be aware the Belmond Hotel Splendido is not suitable for guests with limited mobility. After you have finished a length or two in the swimming pool, head to the Pool Restaurant. Choose from the impressive buffet or opt for a traditional Italian pizza, made fresh and to your liking. The dress code is smart casual; gentlemen are required to wear long trousers during the evening. Dine like an Italian at this authentic restaurant. Whether you choose to sit in the opulent dining room or outside on the terrace, you can enjoy magnificent views of the ocean as you tuck into a traditional Italian dish. Accompanied, of course, by a bottle of fine Italian wine. For a superb dining experience, La Terazza is a must. Settle down for dinner on the elegant terrace and bask in the incomparable views of the Tigullian Gulf. Delight in a delicate and fresh seafood dishes, cooked to perfection by Chef Corrado Corto and his team. Open: 13:00 - 14:30 and 19:30 - 22:30. The sapphire blue, saltwater pool is surrounded by verdant Mediterranean foliage. Take a moment to relax at the poolside to soak up the incredible scenery. 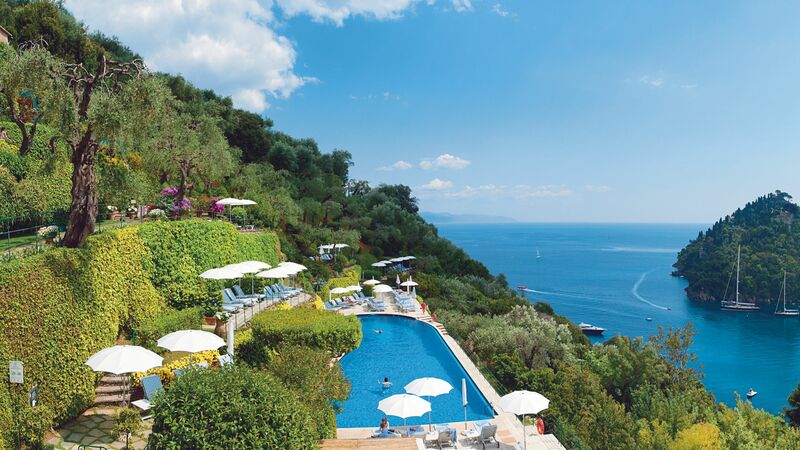 Belmond Hotel Splendido’s pool is the only one in Portofino. Drift away on the Mediterranean breeze as you enjoy a luxurious pampering experience at Belmond Hotel Splendido’s spa. Melt into deep relaxation as you receive a full body massage, complete with essential oils for the ultimate tranquillity. 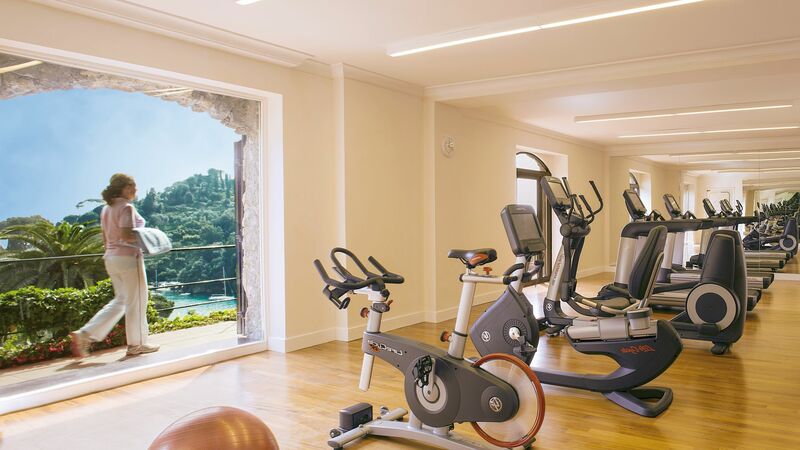 Start your day off with a quick workout at Belmond Hotel Splendido’s Fitness Centre and feel inspired by the hillside views. For those who like to be active in the outdoors, there is a full size tennis court for you to use at your leisure. Portofino is a traditional Italian seaside village, with pretty, colourful houses jostling for position around its beautiful harbour. It’s well known as a playground for the rich and famous, with upmarket bars and restaurants, as well as designer boutiques where you can pick up daring and chic Italian fashions. Explorers can head into the nearby mountains where you’ll find fertile valleys and olive groves, while the port is ideal for those wanting to book boat trips. Stop off in secluded bays for a picnic and a swim or visit some of the smaller towns along the coast. 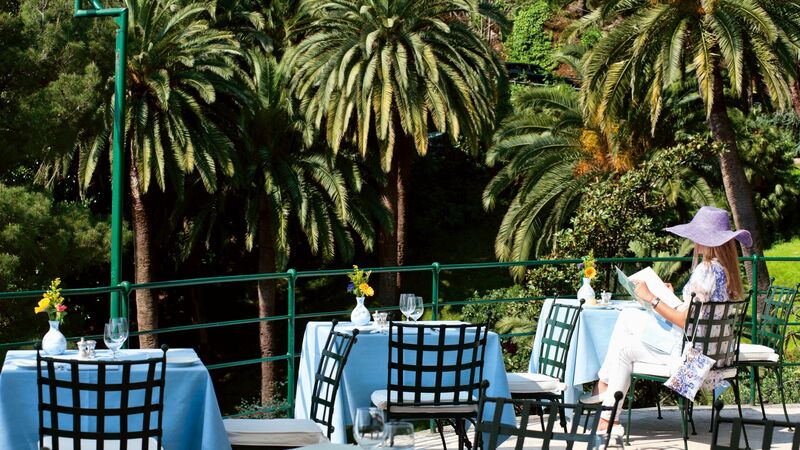 Belmond Hotel Splendido is a 55 minute drive from Genoa Airport. Garden View Rooms measure 20m², are decorated in soft pastel shades with views of the gardens and have beautiful marble bathrooms. Rooms feature a king size or twin beds with air conditioning, satellite TV, DVD player, Wi-Fi, minibar, safe and hairdryer. Sea View Rooms measure 20m² with beautiful views of the sea. Rooms feature a king size or twin beds with air conditioning, satellite TV, DVD player, Wi-Fi, minibar, safe and hairdryer. Sea View & Balcony Rooms measure 20m² and give guests the opportunity to experience the sea views from their own private balcony. Rooms feature a king size or twin beds with air conditioning, satellite TV, DVD player, Wi-Fi, minibar, safe and hairdryer. Superior Junior Suites measure 35m² and are tastefully decorated with beautiful soft furnishings and have fabulous sea views. Featuring either a king size bed or twin beds, the rooms benefit from air conditioning, satellite TV, DVD player, Wi-Fi, minibar, safe and hairdryer. Deluxe Junior Suites measure 35m², feature a furnished balcony or terrace and have views of the Gulf and harbour of Portofino. They have a king size bed or twin beds and include air conditioning, satellite TV, DVD player, Wi-Fi, minibar, safe and hairdryer. Executive Junior Suites measure 35m² and feature a spacious balcony or terrace. Facilities include air conditioning, satellite TV, DVD player, Wi-Fi, minibar, safe and hairdryer. Deluxe Suites measure 50m² and have a separate living area as well as a balcony or terrace. Rooms feature a king size bed or twin beds, air conditioning, satellite TV, DVD player, Wi-Fi, minibar, safe and hairdryer. Exclusive Suites measure 50m² and benefit from views of the Tigullio Gulf and Portofino's cove from their balcony or terrace. Rooms feature a king size bed or twin beds, air conditioning, satellite TV, DVD player, Wi-Fi, minibar, safe and hairdryer. Stay for 4 nights and pay for 3 nights for holidays between 11-16 April, 21 April - 09 May and 21 September - 02 November 2019. Top of the line - the only issue with this hotel is that if you are not a regular, you are hard pressed to get a seat on the dinner patio along the railing with its incredible view. Or if you order a very expensive red that needs to breathe and ask that it be ready for you when you are scheduled to dine, you might score a table along the railing. The property is beautiful, flowers everywhere, the rooms are nicely appointed and clean, the location is one of the best in terms of panoramicas and as well in terms of traveling to other towns. every year we spend some time at splendido. this is a magic property located on the top of one of the hills surrounding Portofino. the hotel is almost perfect in its opulence . best rooms are obviously the ones with the sea view. the only weakness that i see are re atd to the restaurants (casual by swimming pool and formal on the big terrace overlooking Portofino).